* The sterling silver chain is adjustable from 16"-18" with a lobster claw clasp. 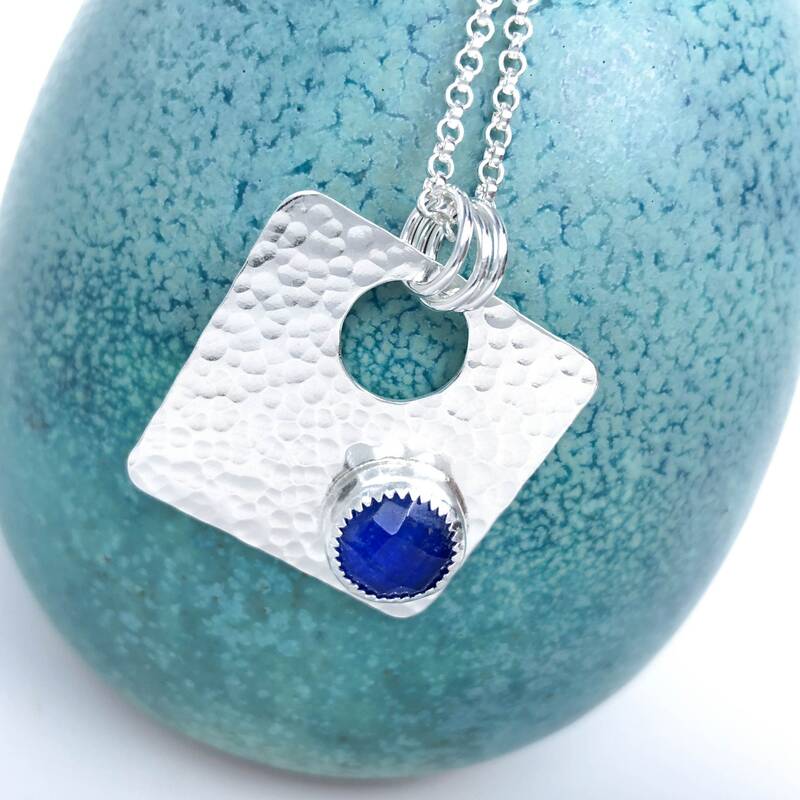 This unique pendant necklace was handmade with a faceted Lapis and Quartz doublet stone and solid sterling silver. This is a doublet stone which means that two stones have been bonded together. 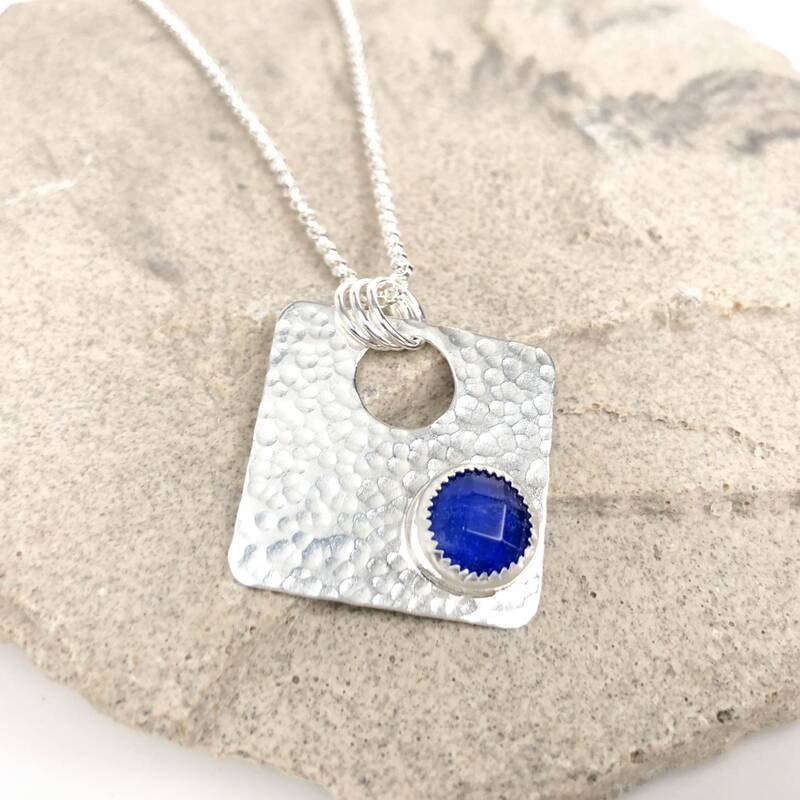 The bottom of the stone is a natural bright blue lapis stone. 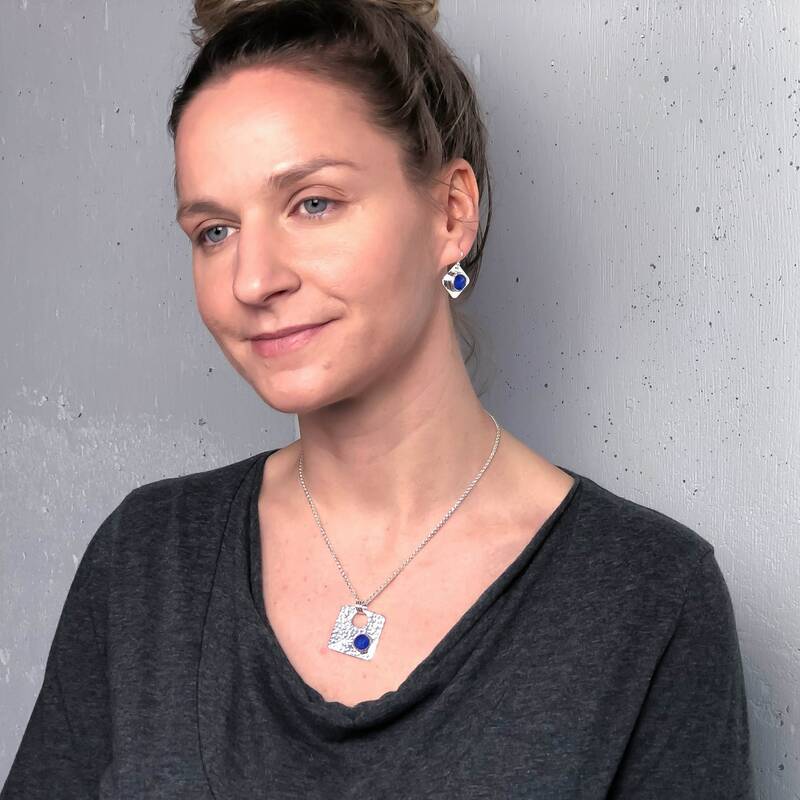 On top of the lapis is quartz crystal which is faceted and gives the stone height and a beautiful luminescent quality and sparkle. The color is just amazing and the glow added by the quartz is so unique. 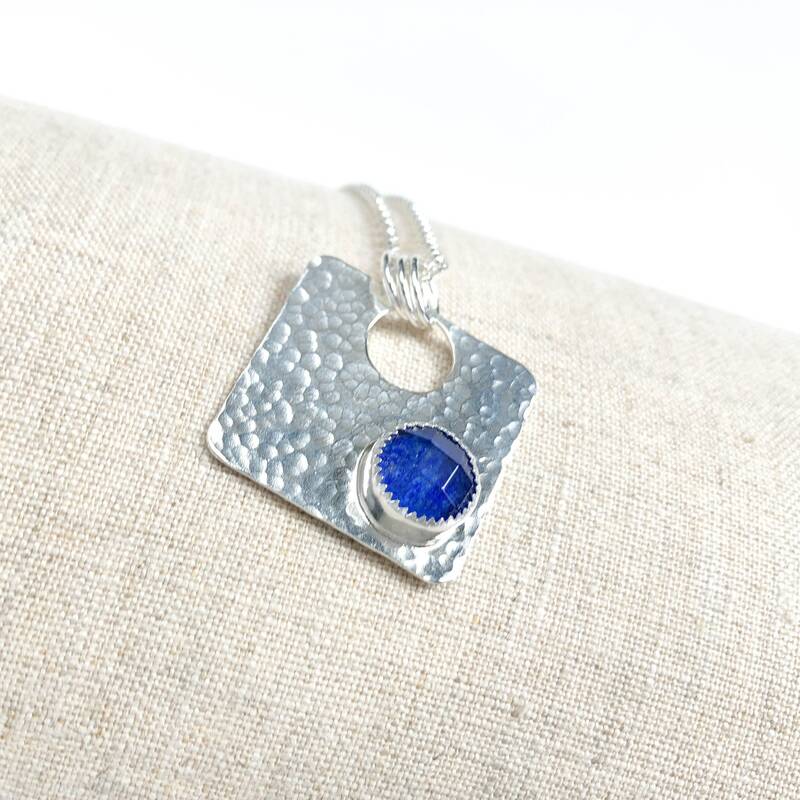 A custom bezel setting was created for the stone and it was soldered down onto a hand hammered sterling silver square. The stone is off center and this causes the pendant to hang at an interesting angle bringing asymmetry to this geometric design. The chain is adjustable from 16"-18" with a lobster claw clasp and built in extender chain. 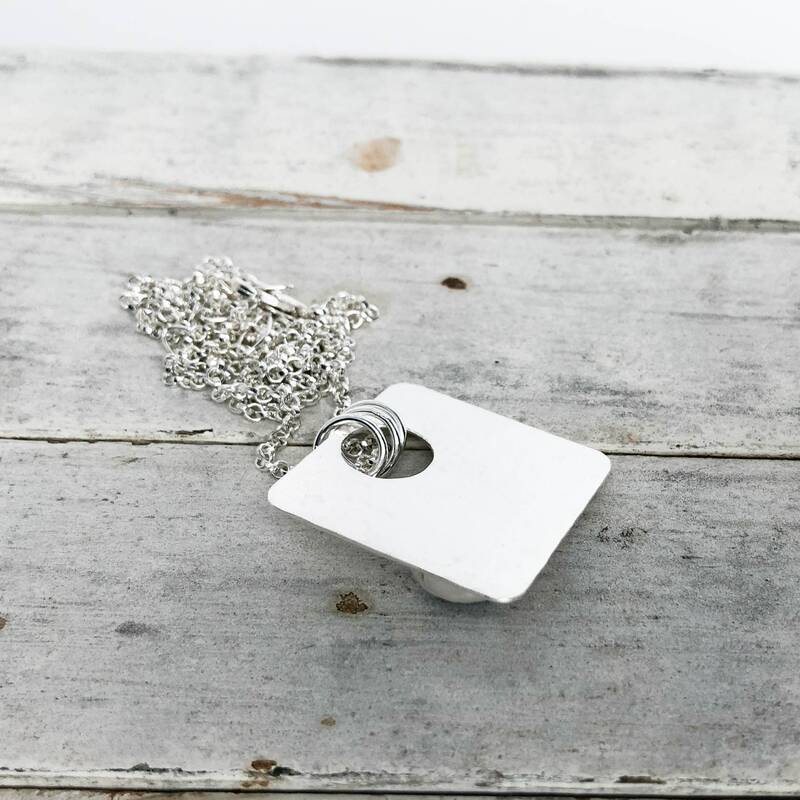 This is a lightweight sterling silver flat cable chain with a nice sparkle to it that is sturdy and perfect for everyday wear! ❉ Our handmade sterling silver jewelry is created for you after you place your order by Paul and Roxann Lizardi. 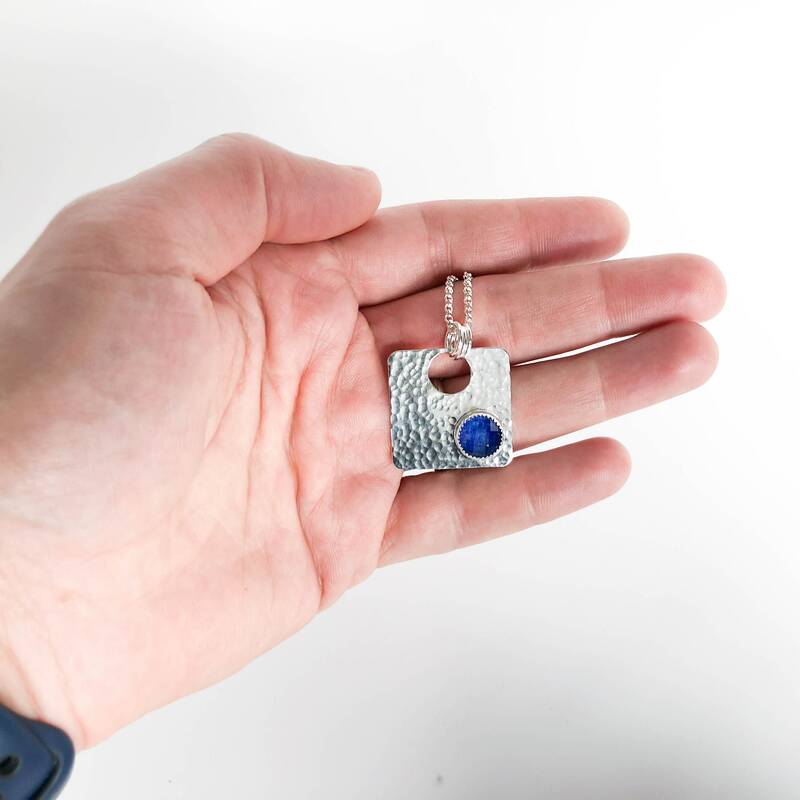 We are the husband and wife team behind Lizardi Jewelry and it’s our priority to make sure your order is made and shipped as fast as possible. Normally it will take about 2-7 days after you place your order for us to create it and get it ready to ship. We ship via USPS mail and we offer a few different options at checkout. If you have any questions about a specific item or if you need your jewelry quickly please let us know, we are happy to help! We handcraft this design with Argentium Silver. Why do we choose Argentium? * Naturally brighter and whiter in color than any other precious metal. * Tarnish resistant. It maintains a bright shiny finish about 7 times longer than sterling silver. * Hypoallergenic. 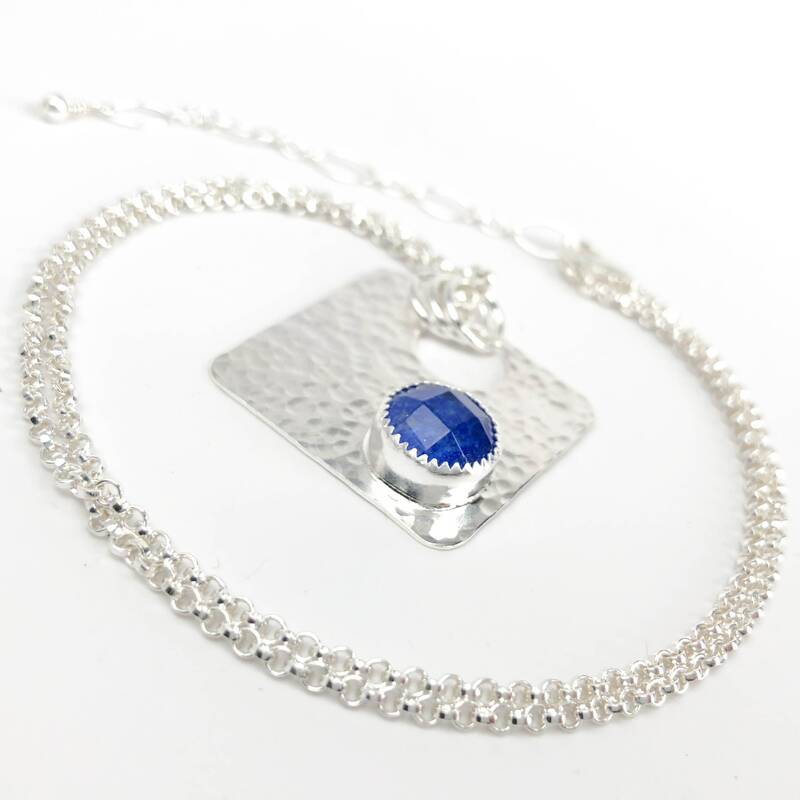 Argentium Silver is 100% nickel free so it’s hypoallergenic and can be worn by many people who can’t wear traditional sterling silver due to allergies. 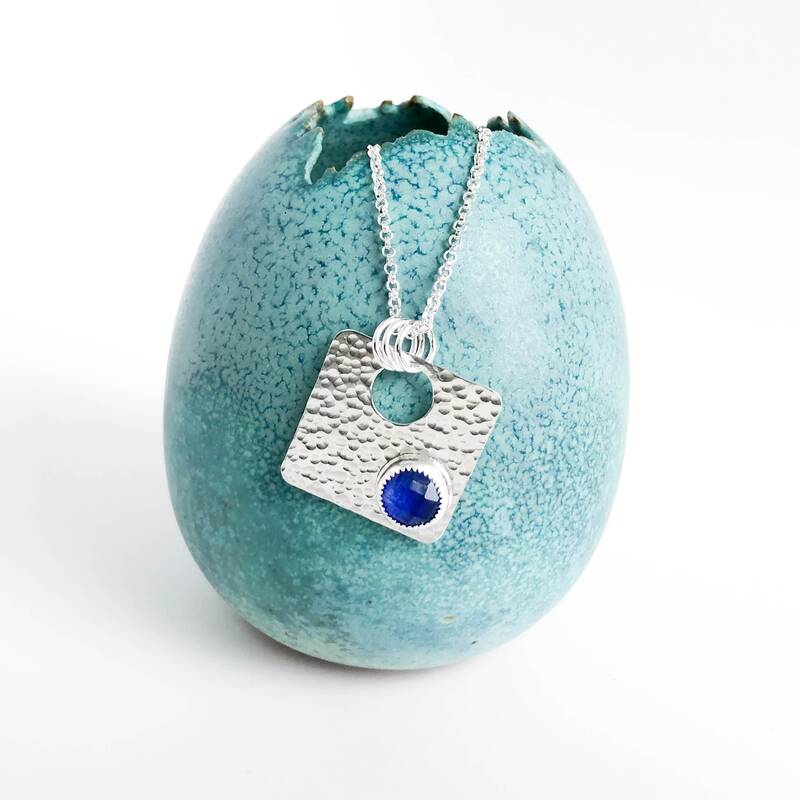 * Argentium Silver is created from 100% recycled silver. 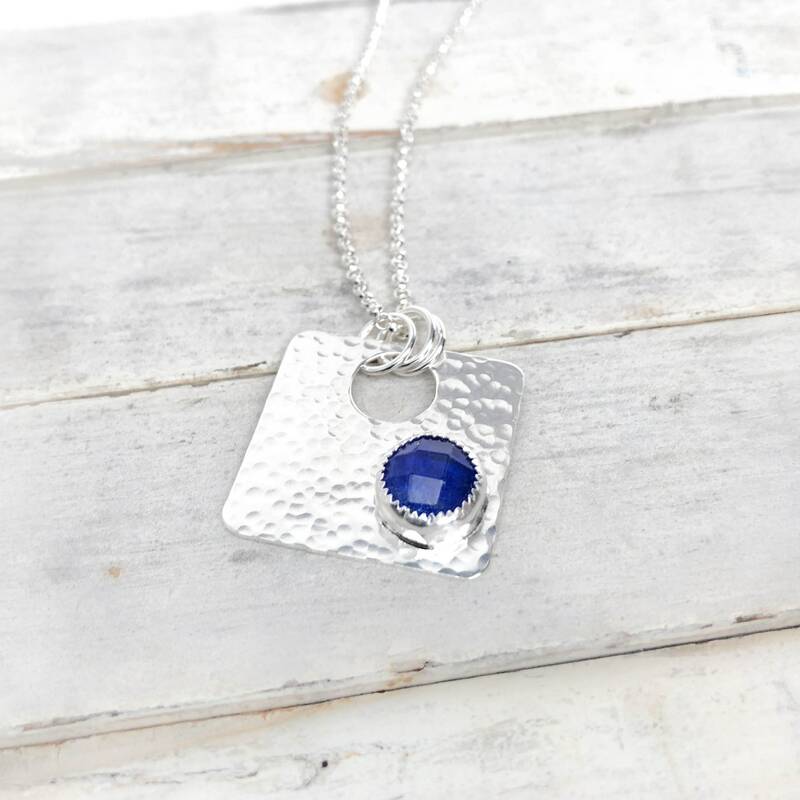 We use Argentium Silver in our jewelry because we want to create pieces with quality materials so our jewelry can be effortlessly enjoyed for years to come! Many of our items are created after your order is placed, so customizations like length, size or color are no problem at all. We are also happy to change ear wire styles(french hook,clip-on or lever back) on any earrings. Please let us know if you need any alterations on the styles in our shop, we are happy to accomodate! Every order we ship includes a care package that includes a tarnish prevention bag to store your jewelry in as well as a disposable tarnish removing polishing square and care instructions! 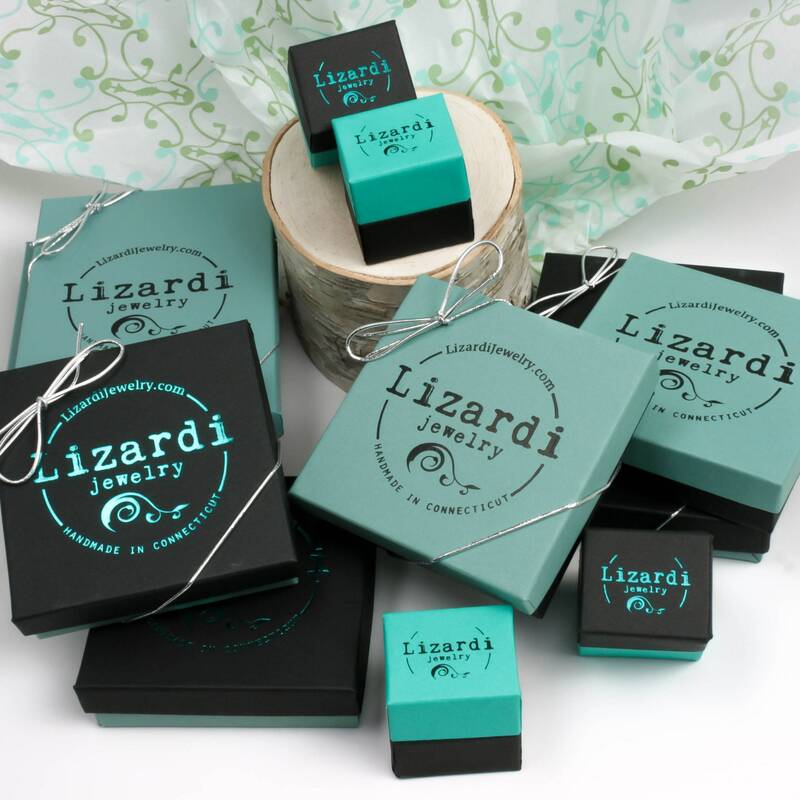 Every item comes in a Lizardi Jewelry branded box with a silver elastic bow and is wrapped with decorative tissue paper. If the item is a gift that is shipping directly to someone please let us know in the note to seller section at checkout and we will be sure not to include the price. Unfortunately at this time we do not accept wholesale orders.